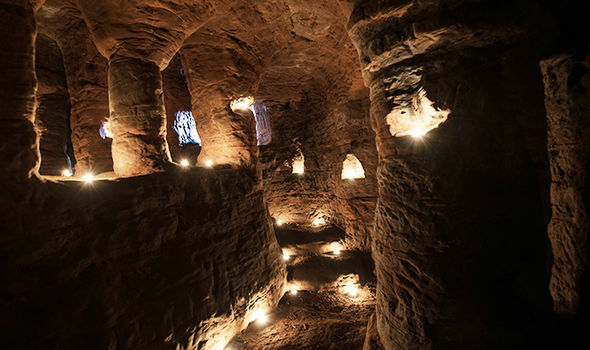 The Knights Templar linked Caynton Caves were not touched for years after being closed off in 2012 because vandals kept carving things into the walls. Photographer Michael Scott, from Birmingham, 33, captured the eerie pictures of the inside for the first time since it was shut in 2012. He said: “I traipsed over a field to find it, but if you didn’t know it was there you would just walk right past it. It’s probably less than a metre underground, so it’s more into the field than under it.